MOTHER NATURE OR EARTH MOTHER HAS BEEN ASSOCIATED WITH PLENTIFUL HARVESTS, FRUITFULNESS, AND FERTILITY. 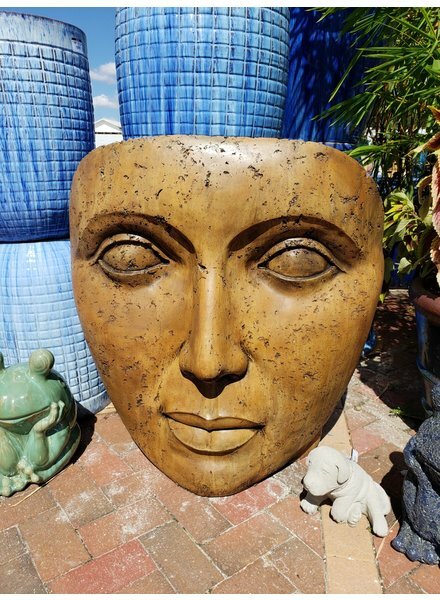 ADD THIS CONTEMPORARY SCULPTURE TO ANY GARDEN OR LANDSCAPE FOR AN ARTISTIC STATEMENT! 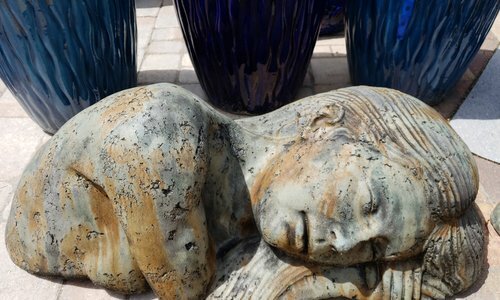 THIS LIFELIKE SCULPTURE IS SURE TO EVOKE EMOTION. ONE OF MY FAVORITES, CARVED WITH MARVELOUS DETAIL. 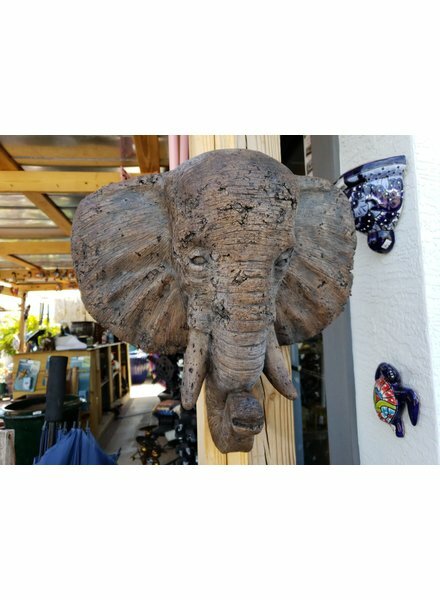 ANYONE WHO LOVES ELEPHANTS IS SURE TO LOVE THIS EXCEPTIONAL PIECE. 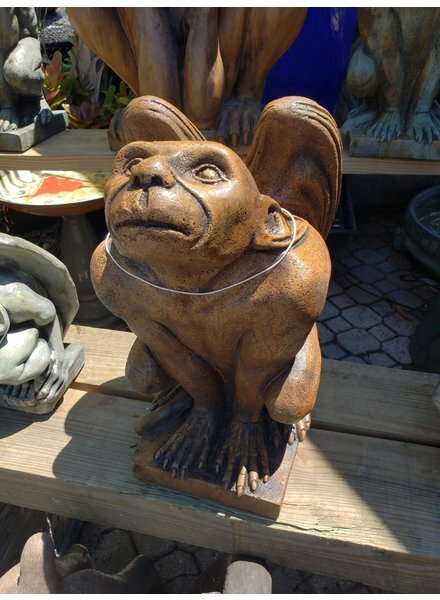 BEAUTIFULLY SCULPTED, BENEDICT GARGOYLE, WILL BE THE CENTERPIECE OF ANY LANDSCAPE DECOR. 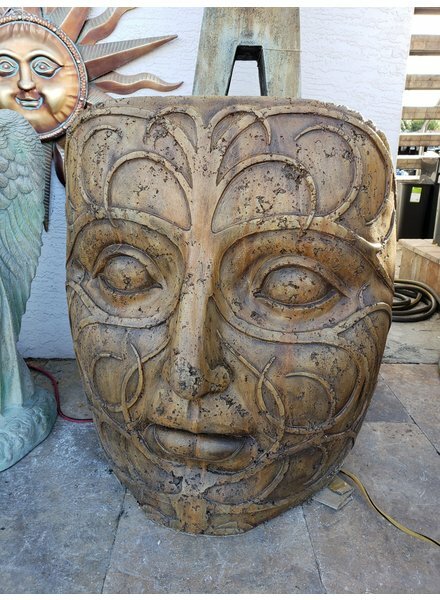 LARGE, SUBSTANTIAL SCULPTURE THAT IS STAINED AND DESIGNED TO WITHSTAND THE HARSH, FLORIDA OUTDOOR WEATHER. THIS PIECE WILL LOOK BETTER WITH TIME. STRIKING SCULPTED CAST STONE FERN PRINCESS IS A TRULY REMARKABLE PIECE FOR ANY GARDEN. VINE DETAIL ADDS DIMENSION AND CREATES AN AESTHETIC APPEAL. 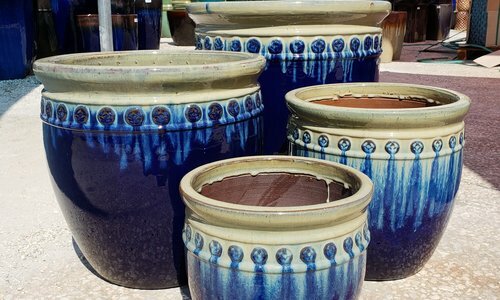 HAND STAINED, DURABLE FOR HARSH FLORIDA SUN. 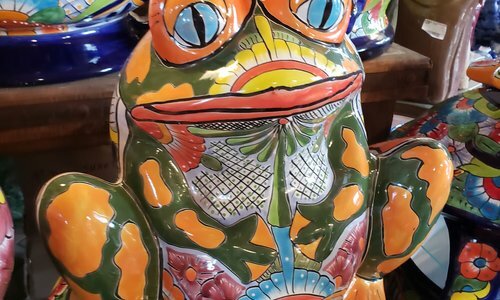 THIS IMPISH FELLOW WILL STEAL YOUR HEART AND GRACE YOUR GARDEN FOR YEARS TO COME. HAND STAINED AND DURABLE FOR THESE INTENSE FLORIDA SUMMERS. 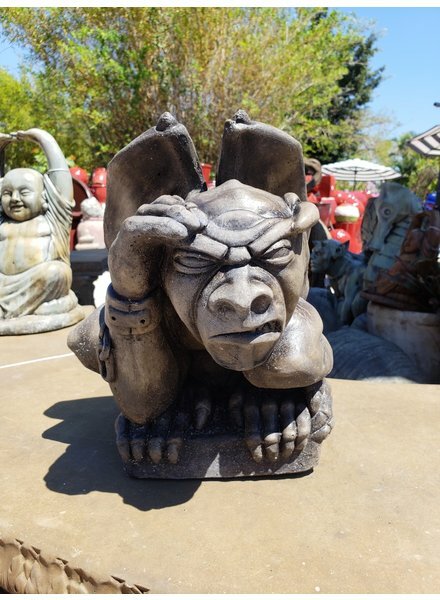 FROZEN IN THE "SEE NO EVIL" POSE, CADRED IS A BEAUTIFULLY SCULPTED GARGOYLE THAT WILL PROTECT THE HARMONY OF YOUR GARDEN FOR AGES. 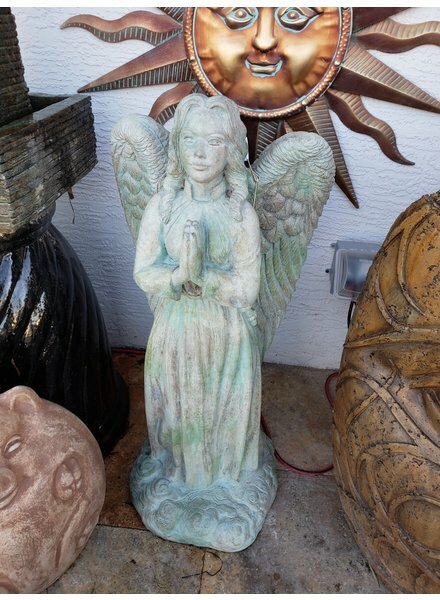 THIS STANDING ANGEL IS BEAUTIFUL WITH HER HANDS TOGETHER LOOKING UPWARDS. 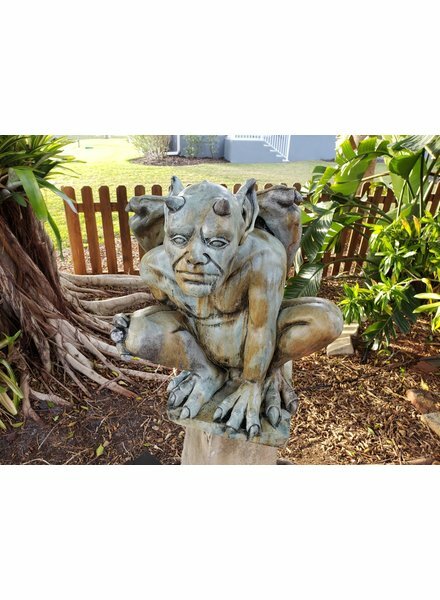 WITH A HEIGHT MEASURING JUST OVER 3 FT TALL, THIS IS A LARGE AND ATTRACTIVE PIECE FOR ANY HOME OR GARDEN DECOR.